Rappers have been dropping LeBron James' name in song since he was in high school. But it used to be in a nice way. But with the release of the rap song "Martians vs. Goblins," LeBron is realizing that it's not just writers who are changing their tune on him since The Decision. On the track, rappers The Game and Tyler the Creator take turns taking shots at the Miami Heat forward, but in completely different ways. 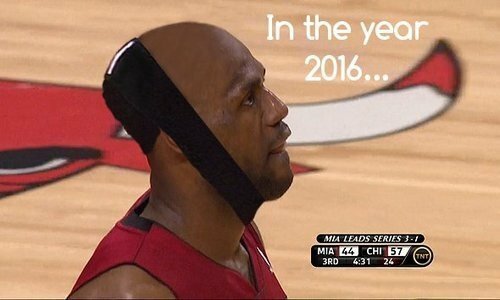 It starts when Tyler the Creator points out that LeBron happens to be follicly challenged. The Game, who is struggling to grasp onto any sort of relevancy these days, takes a different, more shocking route, referring to that infamous rumor that may or may not be true.